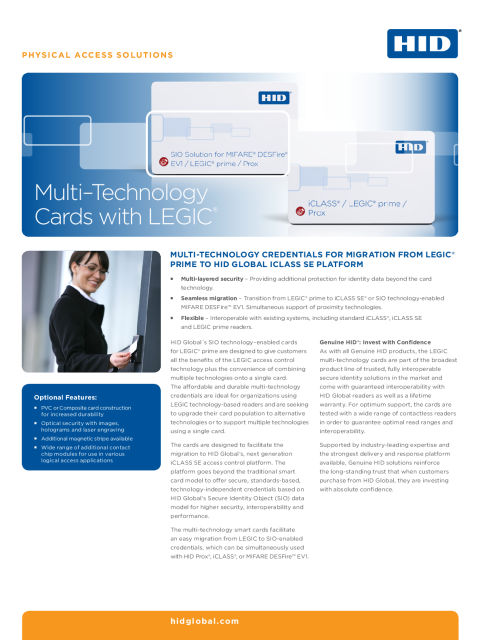 HID Global's SIO Technology-enabled cards for LEGIC® allow customers with LEGIC and/or proximity-based readers to move their card population to higher security and support multiple RFID technologies. The credentials are designed to provide seamless migration to HID Global's iCLASS SE® platform for a future-proofed solution that delivers higher security, interoperability and increased performance. The multi-technology cards are also programmed to preserve backward compatibility with existing access control systems, while leveraging the increased security provided by the iCLASS SE platform’s Secure Identity Object® (SIO™) data model. The LEGIC multi-technology cards are part of the broadest product line of trusted Genuine HID® solutions in the market and provide guaranteed interoperability. Supports iCLASS SE platform – Ensures superior privacy protection with AES standard cryptography for data authenticity and privacy through the multi-layered security of HID Global's SIO data model. 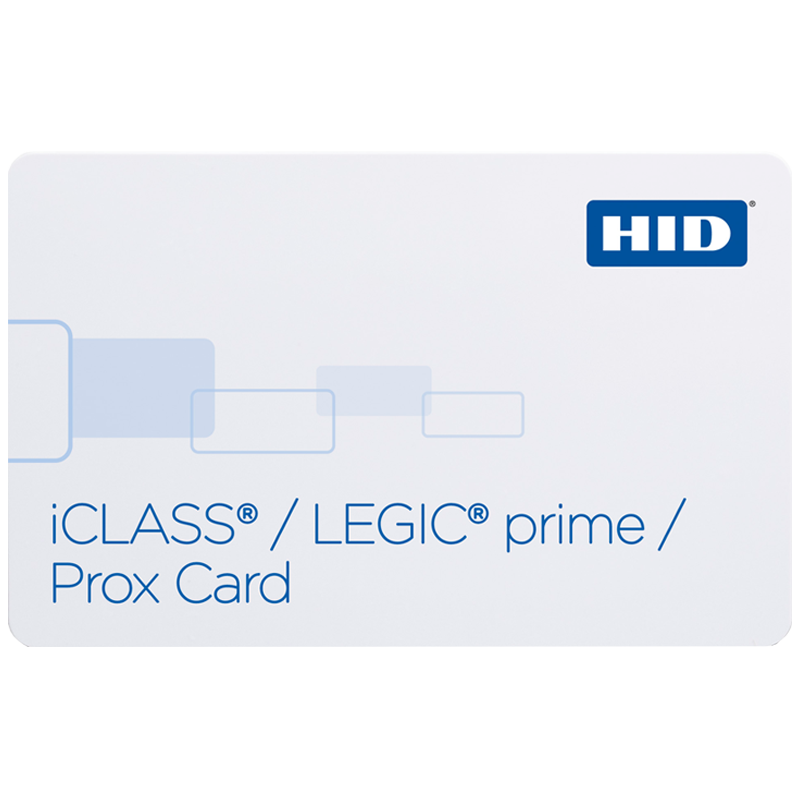 Supports mutual use of iCLASS / HID Prox® with LEGIC prime 1024 combined in a single credential. Proximity technology is interoperable with several 125 KHz proximity solutions including HID Prox. Complies with global industry standards ISO 15693 and 14443B for thickness and use with all direct image and thermal transfer printers. Available with magnetic stripe, contact smart chip and PVC or composite card body for more demanding environments.